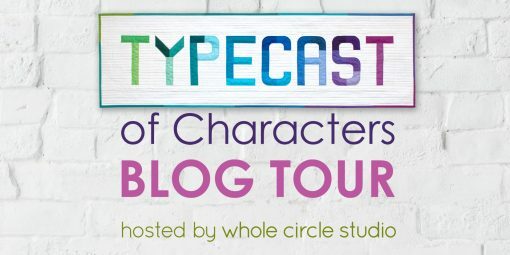 Week 2 of the Typecast of Characters Blog Tour is here! 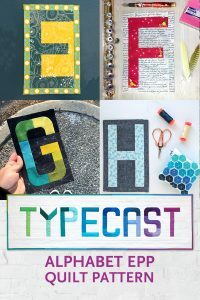 Check out what Erin, Sylvia, Guiseppe and Hilary made with my latest English Paper Piecing pattern, Typecast. 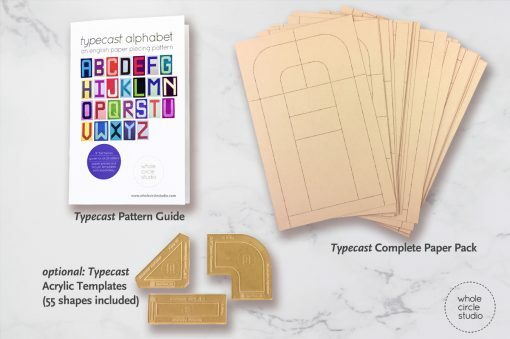 Be sure to read all the way to the end to enter for a chance to win a Typecast Complete Paper Pack, sponsored by Paper Pieces. 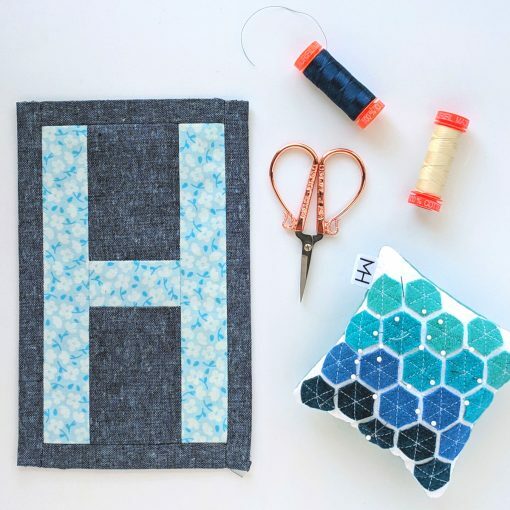 Did you see Week 1 projects (featuring the letters A, B, C and D)? Get caught up here! 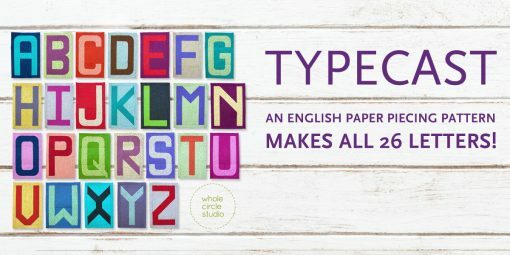 Erin Bay, the pattern writer and design specialist at Paper Pieces made this excellent “E” featuring fabric that was fussy cut from Alison Glass’ Sunprint collection. … and font, French, flowers, flute, fat quarters and feathers! Sylvia Schaefer of Flying Parrot Quilts had so much fun coming up with LOTS of “F” words to represent her block. 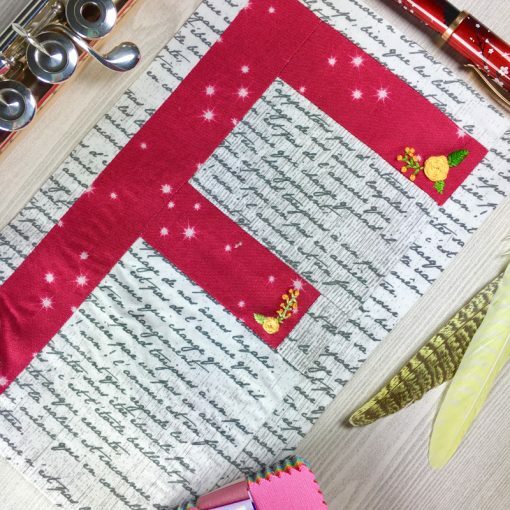 Head on over to her blog to see more about her block, including how she incorporated embroidery! 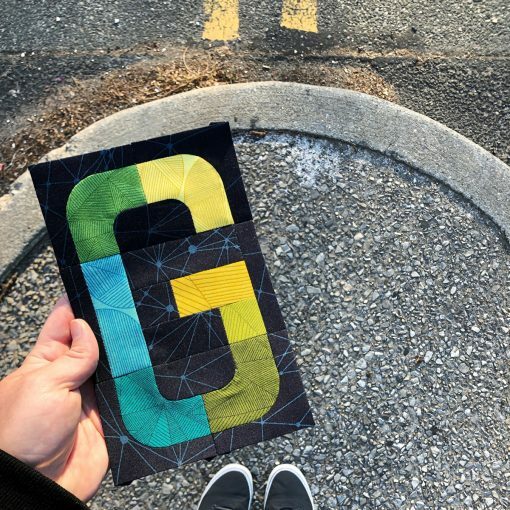 New York City is a fabulous backdrop for Typecast letter G, made by Giuseppe Ribaudo, aka Giucy Giuce. 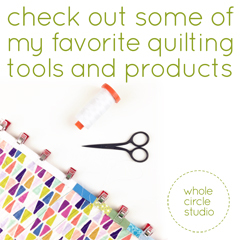 I love his fabric collections, including Quantum, for Andover Fabrics. Head on over to his Instagram feed to see lots of other eye candy. Hip, hip, hooray… This adorable block was made by Hilary Jordan, of By Hilary Jordan. 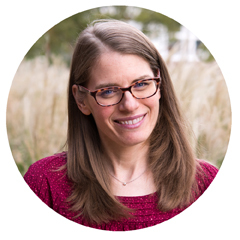 Head on over to her blog to show her all of the love. 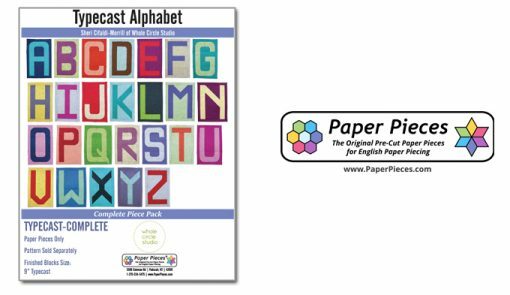 Enter for your chance to win a Typecast Complete Paper Pack (sponsored by and mailed directly from Paper Pieces). 2. In your comment, answer: What word or phrase would you spell out with Typecast? You have until 8pm EST on Monday, April 15, 2019 to enter. GIVEAWAY CLOSED. Congratulations to the winner: Linda. Thank you to all who left a comment! I would make the letters E, W and D for my grandkids. Hi, I would make my families initials and then turn it into a wall hanging with hearts between each: D P M G. Or maybe I would make a bunch of pillows for them and other family members. No end to the ideas at this point! Parthena ….I never spell out my name. 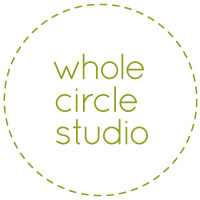 Also use these for quilt initials for the littles. Would make the words “LOVE LIFE” to add to a quilt to cuddle with. I would make B, L and H – my husband’s and my initials. And “be colorful” for my sewing room wall. Oh Tyvm for the chance to win. I would do “G” for Gigi. Even tho my name is Angela but I’m a grandma and called Gigi. I love being a Gigi, best job of all times!! 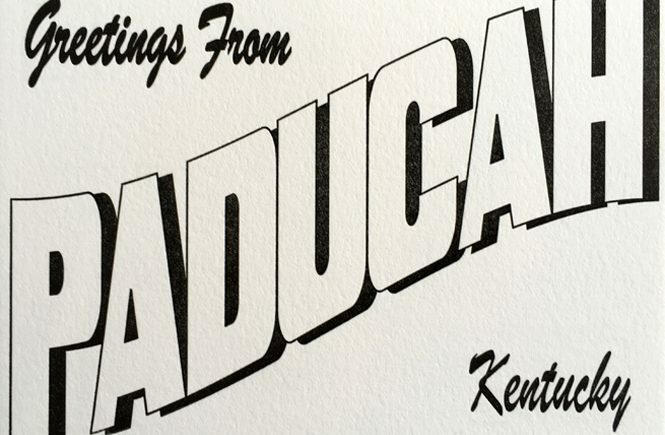 All of these letters are fantastic! I would make a CRAFTY wall hanging! I would put ‘Create’. That’s what I need to do every day! 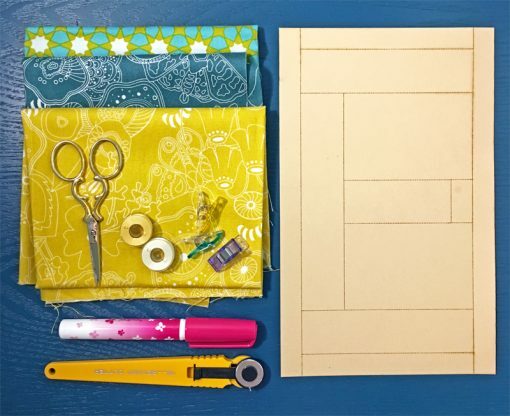 I would have to make something fun for my sewing studio like “MAKE” or “SEW” or “QUILT” and then I’d make gifts for all the lovelies in my life. I would sew the word LISTEN to remind myself to turn off the chatter in my head to really pay attention to what I’m hearing. I would take on a bigger project than a single letter. Just heard this phrase, “Taste your words before they leave your mouth”. I’d start with something easy like L for my name. Oh, I’d definitely spell Quilt! Either “Surprise” for a gift, “Quilt” for a friend, or another “Quilts of Valor” sign for my QOV group. I would have to make ‘Arthur’ for my grandson! Our last name is Best, and I have three sons, so I might do something like The BEST Boys Live Here. I love both EPP and paper piecing. 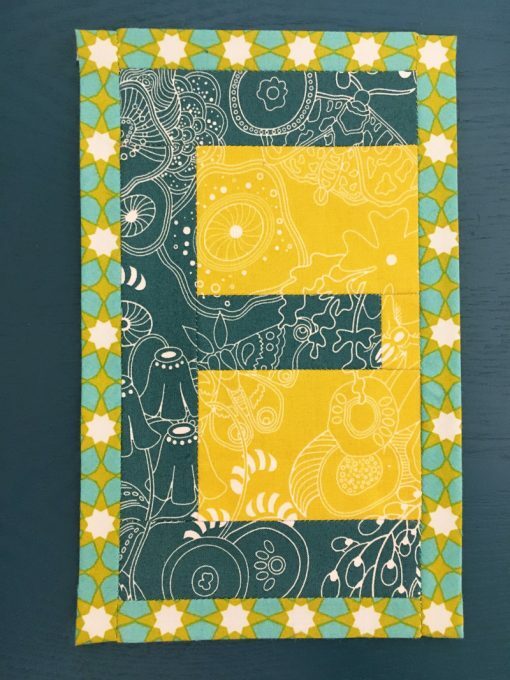 I’d spell out my niece’s name–Sarah–on the quilt I am making for her high school graduation. I would spell “Happy “!!! Thank you. Love all the bright colors and the interpretations of the various artists. I love to foundation paper piece! I would make “Live” “Love” “Laugh” The three things we all need. i would make QUILT and make a wall quilt for my quilting room. I would spell DREAM for all the graduates. They need to go off and reach for dreams. I would either make my daughters’ names, or LOVE, or do a quilt with the whole alphabet. S M A — my initials. I have so many words I would like to do starting with my Granddaughter’s name to make her a pillow for her bed. “Snuggle” for a reading quilt for my grandkids! These letters are so great! “JOY” because quilting brings joy into my life. I’m making a “Grandma’s Quilt” and would use the letters for the names of all my grandkids. My phrase would be : I’m a Maker! I would make an “H” for heart which sumbolizes love, spiritual being, compassion and understanding. I think a small wall hanging for my sewing room, “NOT NOW, I’M SEWING”. I would make a wall hanging with the words, “WELCOME HOME” to hang in the front entry of my home. That way everyone who enters feels like family. Thank you for the chance to win. I would write LOVE because the world can always use more love. LUCIDITY is what I would spell with the Typecast of Characters. I just came back from a festival with that name. I’ve attended the festival the last 6 years and it holds a special place in my heart.